Over the next few days, and in keeping with all the other blogs and newspapers that got there already (and in the right year) Civilian Theatre will be unveiling its inaugural annual awards and revealing Civilian Theatre’s Top 10 plays for 2013. 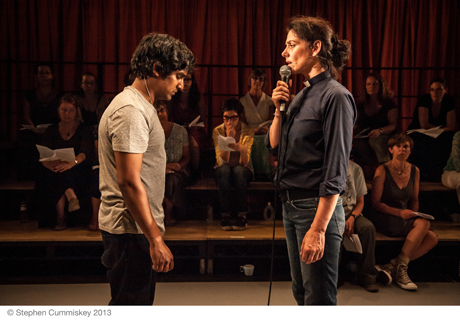 Given the sheer amount of theatre available it is not difficult to find plays that were fantastic, moving and challenging but reflecting on what Civilian Theatre has been to see across the year (and the expectations that had built up in advance), it does not feel that 2013 was a vintage year for theatre. It would be easy to equate the drop-off in quality with the cuts to Arts Council funding; the first cracks beginning to appear as the money begins to run out. However this only tells one half of the story – and if anything much of the best of the year’s theatre occurred in unexpected locations and in new voices that are beginning to emerge. Good theatre does not big budgets or big stars, it needs ideas and the willingness to take risks; in very different ways The Events and Fleabag proved this point. Indeed the drop in quality, if anywhere, appeared at the top-end. The gap between bloggers and newspaper critics never appeared wider than in the debate around the Michael Grandage season. Routinely given 4/5* reviews in the press, the majority of the programme provoked the ire of seasoned bloggers who felt it promised much and then failed to deliver. Civilian Theatre lauds elements of the programme: a West End season that was committed to drama and even included a new play; the sheer number of £10 seats, which if booked early enough didn’t have to be back of the balcony where the most pressing concern is not seeing the stage but rather calculating the risks of deep-vein thrombosis. However the dull production and conservative directions produced lifeless and leaden work that challenged the audience’s endurance rather than their intellect. One rarely looks to the West End for intellectual challenge and radical drama but the publically-subsidised sectors also appeared more unfocused than usual. It is a transitory time in British Theatre and whilst this may bear fruit in the coming years, it felt that many people were still finding their feet. 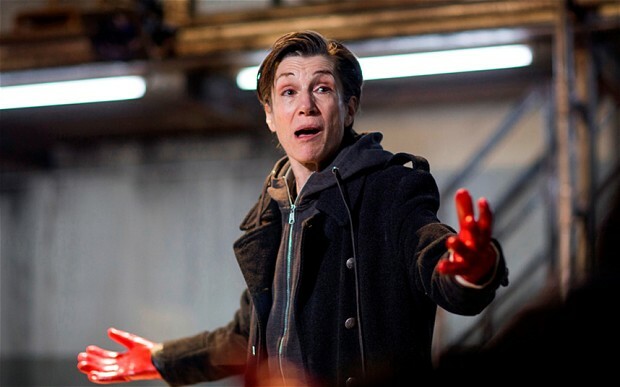 An honourable exception goes to the Almeida who – in snagging Rupert Goold – may have pulled off the biggest coup of all, and also managed a season that gave audiences, successively, Chimerica, Ghosts and American Psycho at non-West End prices. Josie Rourke’s tenure at the Donmar Warehouse has so far produced interesting plays in isolation but there has been little sense of coherence in the overall scheduling, and some productions that were just hard work full stop;Trelawny of the Wells proving that just because a play is forgotten doesn’t necessarily make it a classic in waiting. That the National Theatre had an uneven year was unsurprising given all the speculation around the top job. Rufus Norris is a bold choice and one that is likely to bring a very different feel to the National and perhaps reshape to more accurately reflect a modern British theatre. He, like audiences, should benefit from the development of The Shed, particularly if its early inventive and innovative programming continues into 2014. Outside of London, (or into the hinterland for this blog), the argument about funding distribution continues unabated. There was more change at the top as the National Theatre of Scotland lost Vicky Featherstone to the Royal Court (a canny move to breathe fresh, non-London-centric life into an organisation that is always at the risk of being subsumed by the voice of the metropolitan middle-class). The other powerhouse, the RSC, have crafted a seamless transfer into handing the reigns to Gregory Doran. The RSC seem reinvigorated and scored a big hit with David Tennant in Richard II, and Doran seems to be keen to move through the history cycle as Henry IV Parts I and II are planned for 2014, which mark both the return of Antony Sher to the RSC and the continuance of a partnership with the Barbican that will seem them return as part of a 3-year deal.